Finding an insurance agency that specializes in Construction in Vermont is not hard. But finding one with long-term growth that wants to earn your business can be tricky. That’s where Kinney Pike comes in. We believe in earning your business, acting as a trusted advisor by drilling down and asking the right questions, and ensuring our clients are fully protected, while enhancing their operating profits. We will work with you do develop the right coverage for you, regardless of the size of the business. Our Construction Insurance Specialist works with construction firms of all sizes – from entrepreneurs and home improvement laborers to large commercial heavy and general contractors. We offer a full range of insurance services, risk management solutions, in-depth industry knowledge, solid carrier relationships and a team of local professionals who take pride in putting those services to work for your business. From minor site work to major developments, Kinney Pike has years of experience in the field, ensuring protection of you and your business. 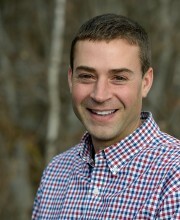 Our Construction Insurance Specialist, Adam Osha, has spent his career entrenched in the construction industry, knows the exposures, and works hand-in-hand with the AGC of Vermont, holding a seat on their Board of Directors. He has earned the trust of contractors and subcontractors throughout Vermont and New Hampshire for his risk and coverage expertise, extensive experience in the industry, and his Vermont values. Please contact Adam with any questions you may have about the insurance in your business, whether it be handyman work, electrical, plumbing, renovation, or even large scale work such as quarrying, paving, or land development. In November, the U.S. Occupational Safety and Health Administration (OSHA) announced increases to federal penalties for workplace safety violations. It’s the first escalation in OSHA penalties in 25 years. The increased penalties, which were buried in the Bipartisan Budget Act of 2015, will take effect August 1, 2016, in all states regulated by federal OSHA. The move allows OSHA to raise fines in step with inflation, with an expected initial increase—or “catch-up” adjustment—of approximately 80 percent. The potential impact on businesses is huge, particularly for companies that employ temporary or leased workers. There are large labor law liabilities associated with the use of temporary, leased and borrowed employees. Under the revised OSHA penalty scale, companies could face fines ranging from $12,600 for serious violations to $126,000 for willful or repeat violations. The increase in fines, along with OSHA’s long-standing multi-employer citation policy and newer Temporary Employee Initiative, raise concerns for construction companies that use temporary and leased employees. Read more about these changes and their relation to temporary and leased employees in the free white paper published by our partners at Assurex which can be downloaded below. The white paper covers four main points: Employee types – classifying your workers, The Temporary Worker Initiative, Multi-Employer Citation Policy, and Avoiding Citations. You have brought a sigh of relief to our household. I also want to say what a pleasure it is dealing with Kinney Pike as a company. Between yourself, Adam and everyone else, I have always received superior customer service, which is such a rarity these days in business.